But not what you’d expect. 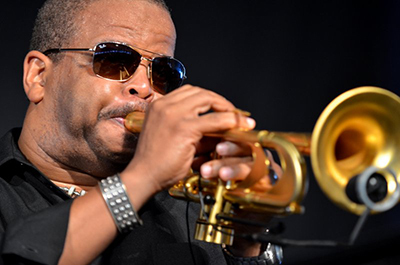 Yep, it’s the Jazz Fest: the big grand-daddy of music festivals rolls again this weekend. It’s changed from what it used to be, this is true. Stuff changes. But the general spirit is still there and will be for a long time, assuming Festival Productions can continue to balance the dyed-in-the-wool Louisiana music and cultural stuff with the AEG-booked big-name acts that keep heads coming through the gates. One thing we can say for sure is that despite the bitching and moaning that we’ve been hearing for years regarding the change in the talent pool, the adjustment in the types of acts (Ed Sheeran? Elton John? Hozier? Keith Urban? Lady Gag? Pitbull?—I really wanna see the audience at Pitbull) has kept the festival solvent. And that’s not to say that I wouldn’t want to see The Who and Elton John. Clever booking, I think! The most important result of keeping people coming to the Jazz Fest has provided a strong and constant revenue stream to the New Orleans Jazz & Heritage Foundation (NOJHF) to do good things for the community. A different kind of orchestra? Photo by Kim Welsh. 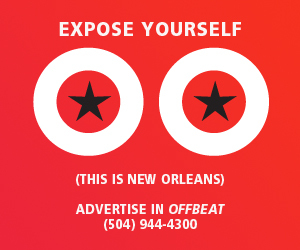 If your head’s been under a rock, or you’re simply not cognizant of the relationship between the Foundation and the Jazz Fest, you should know that the NOJHF owns the Jazz Fest and they contract the operations, talent booking, ticket sales, merch and sponsorship acquisition—the meat of the Jazz Fest—to Festival Productions New Orleans (Quint Davis’s company) who works in conjunction with AEG Entertainment. The Foundation is in a great position: a non-profit that has a potentially large annual revenue stream generated by a property that it owns (Jazz Fest). The Foundation also owns the license for WWOZ radio, but WWOZ is operated under a separate non-profit, Friends of WWOZ. According to Guidestar.org (anyone can access this website), in 2013, the NOJHF net income was $2,309,984. What’s so admirable about the Foundation is that they literally do put that money back into the community with several ongoing high-profile activities. They put on four free community festivals—some of the most successful in the city: Crescent City Blues & BBQ Festival, the Congo Square Rhythms Festival, the Louisiana Cajun-Zydeco Festival, and the Treme Creole Gumbo Festival, as well a series of other music events.. Festival Productions has nothing to do operating these festivals. The Foundation produces a music industry event every year at Jazz Fest, Sync Up, which brings in speakers from all over the country to participate. The recently opened George & Joyce Wein Jazz & Heritage Foundation building that houses the Heritage School of Music is another testament to how the Foundation has impacted the community. The entire list of the Foundation’s programs is at www.jazzandheritage.org/what-we-do. But enough about the Jazz & Heritage Foundation (you can check them out at their booth on the Fairgrounds). I wrote some years back about the need for New Orleans to develop the audience for all kinds of music, and specifically classical music. Joseph and I had attended the Spoleto Festival in Charleston, SC—a wonderful event—that attracts music lovers from around the globe. The Birdfoot Festival is trying to just that (in case you’re wondering, the name of the festival comes from the fact that the Louisiana river delta looks like a “birdfoot” from the air). The event is only four years old, but has made significant strides towards improving the climate and audience for classical music, and it intends to do much more. This year’s event is a 10-day festival from May 20-30 and it includes concerts, chamber music ensembles, a mentoring program and performance by participants and more. New Orleans is a world-class city, and there are so many who are moving here from cities like New York and San Francisco where it’s relatively easy to find “serious” music performances. In New Orleans, it’s just not the same. I’d encourage you to look into this new festival and get involved. It can do nothing but good for our our culture, our economy and our kids…while building a market for a different “kind” of music. We know you love music from New Orleans. But do you like classical music?